How is the D8 Double Bubble aircraft by NASA so efficient? How does the 'double bubble' fuselage cross-section of the "Double Bubble D8" aircraft (developed by MIT for NASA) help improve overall efficiency by around 70%? The main advantage is its lower flight Mach number of 0.74. This allows it to use minimum sweep, which in turn reduces wing area, structural masses and thrust requirements. Now pick the right definition for efficiency (one that neglects speed), add the engine fuel consumption expected in 20 years, and the concept looks like a winner. If fuel prices go to \$200 or \$300 a barrel, this type of aircraft will lower the cost of flying substantially. The double-bubble fuselage will contribute only a little to the overall savings, though. Most will come from the (hypothetical!) engines and the high aspect ratio wings with little sweep. Note that the lower flight speed is compensated by the claim of much shorter boarding times, so the double bubble comes out ahead in block times. The only reasoning is that passengers will board more quickly because they can choose between two aisles to get to their seats. Very questionable! Below is page 105 from this report which shows the fuel consumption improvement of the separate steps from a Boeing 737 reference design to the D8.1 concept. The biggest contribution is from lowering cruise Mach (and increasing cruise lift coefficient, which allows to reduce wing area) and from engine optimization. As it looks now, the marginal cost of fracking will keep oil prices below $70 for the next years, and airlines will keep ordering planes which look like those they operate today. Looking through the proposals in the PDF linked in your comment, most of them make me cringe. Since the Seventies we see the same concepts for supersonic travel, and here they are again, only presented in different colors. Some subsonic designs are sound, but again we see hopeless concepts like the boxed wing which is kept alive by a stream of NASA grants, only because it looks so different. I am equally skeptical of those blended wing concepts which pop up with every new generation of aircraft designers. Looking at MIT's presentation, more specifically pages 13 - 15, they're counting on the fuselage being a lifting body, among other things. For most aircraft, the fuselage encompasses the passenger cabin, cargo cabin, fuel tanks etc. and is designed to impose as little drag as possible in the process. 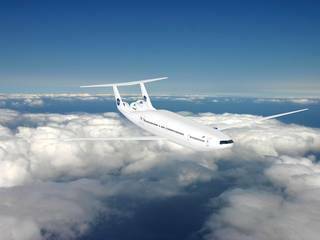 With a lifting body, the fuselage actually provides lift, instead of just adding minimal drag. All of these, in combination, provide the estimated 70% greater efficiency. flying shorter and more direct routes, for cost-efficiency. Reliance on promised advancements in air traffic management such as the use of automated decision-making tools for merging and spacing enroute and during departure climbs and arrival descents. Their presentation on page 87 specifically covers reasons for the fuselage design. Additional lift and more cabin room in a smaller fuselage seem to be the main reasons they give. But there are a lot of other details in the presentation too. But note: the fuselage shape is only part of the overall claimed efficiency improvements. There are many other features such as a lower cruise speed, reduced sweepback of the wings leading to weight saving, etc. Not the answer you're looking for? Browse other questions tagged aircraft-performance efficiency nasa double-bubble-d8 or ask your own question. Why don't airlines load their passengers like freight? Why are jet aircraft never designed with a slower cruise speed? 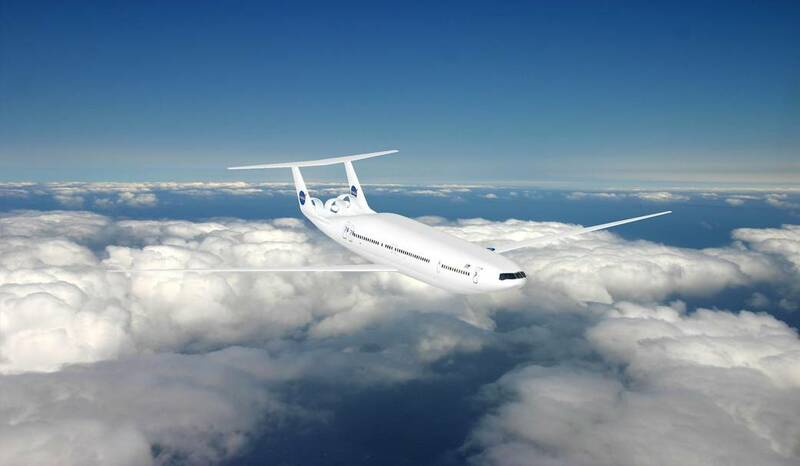 Why are there no blended-wing passenger airplanes in operation? Do box-wings suffer from induced drag the same way as normal wings? What are some advantages and disadvantages of have the wing on top of the airplane? Why does the Aurora D8 have vents on the bottom of its fuselage? How does the mounting location of a jet engine affect aircraft performance? 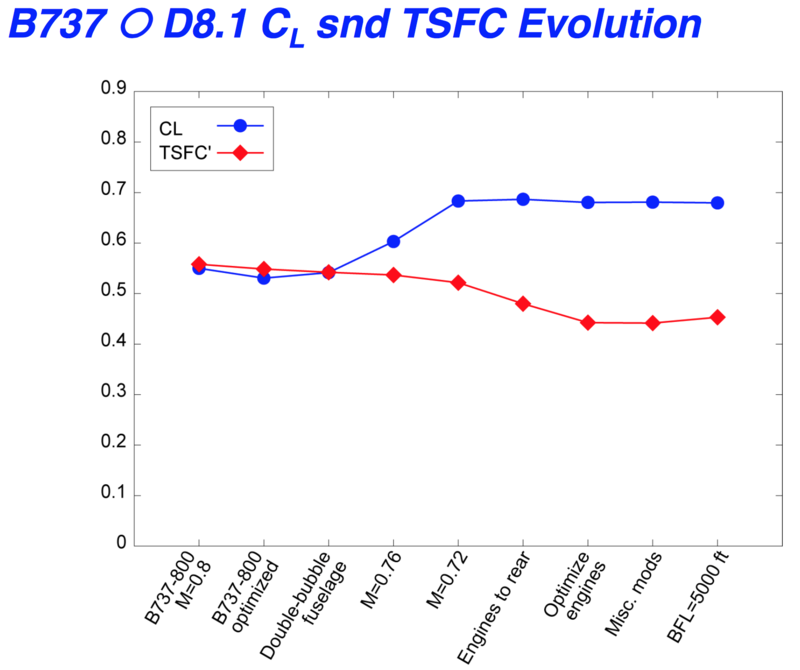 Does an increase in air temperature actually improve aircraft performance? What are the design goals for NASA's X-57? Are there any performance details available for the D8 Double Bubble engines? Would an extra fan make turbofans more efficient in cruise? How bad is the efficiency of jet engines under low loads?  How unusual is it for remotely piloted aircraft fly through commercial or general aviation airspace? How is the camera positioned for these plane-to-plane Schlieren images of shock waves?